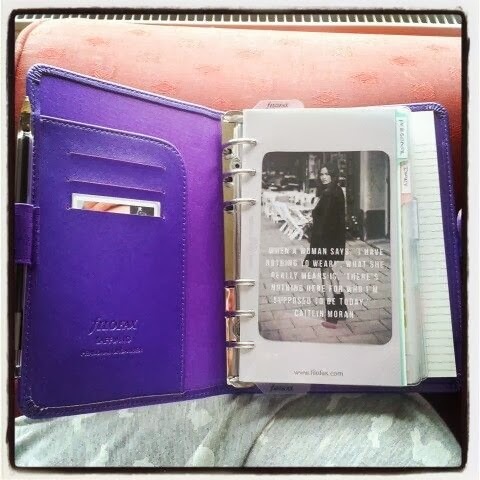 The latest accessory in my life - the stylish Saffiano Filofax in Bright Purple. Managed to get at a bargain price £30 from Staples, as Filofax organisers can be expensive dependent on the size, collection and what accessories/sections you need. I went shopping with the intention of buying and A5 sized organiser but in the flesh it is just too big to lug around everyday in my handbag so i went for the next size down, the Personal. I also really wanted the New Original Filofax in Fluro pink but at £60 it is a little too expensive for me especially as the Saffiano has more logical sections for my needs and is the same size at half the price. I am an organisational freak with a strange love of stationary, and i can't fully commit to organising my life solely on my smartphone, i like to organise in the traditional way and write everything down so Filofax is great. I also wanted something a little more grown up than a standard diary and this fitted the bill especially in this beautiful leather and bold colour. I also like to customise my diaries but at the same time keep it simple, have seen many YouTube videos showing how others like to organise theirs, where too many stickers and colours are used, it ends up looking like a child's sticker book. I do have a few stickers but they are use sparingly and are symbols rather than bright characters. 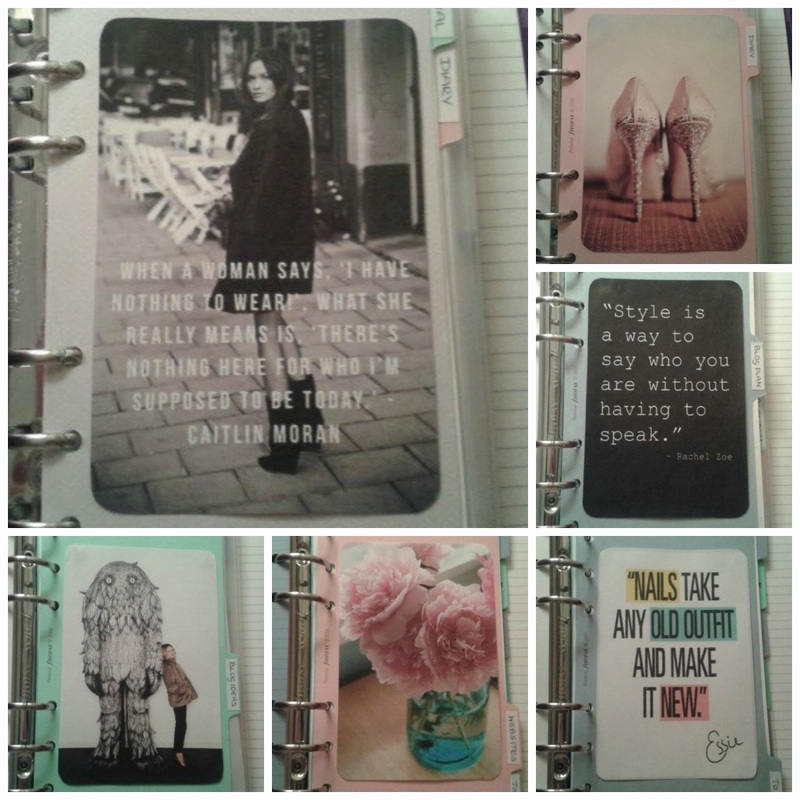 To personalise my Filofax i have used my favourite Pinterest images, to jazz up the dividers that came with it. My current sections include Personal, Diary, Blog Plan, Blog Ideas, Websites and To do lists but the nice thing with Filofax is that i can add more as and when i need them. Only had this for a week now, and currently only have 2014 diary, but once i hit the new year this diary will hopefully be everything i wanted it to be, and make my life uber organised! Which do you prefer - the old fashion writing everything down way or the modern everything stored on your smartphone way? Let me know how you like to keep organised.